The Ordinary, a relatively new brand under the Deciem umbrella, has been making lots of waves in the beauty industry lately. Their motto is "clinical formulations with integrity" - they skip all the marketing, fancy packaging, and filler ingredients to present highly effective formulas at crazy affordable prices. I had never before seen such low prices for serums and oils of this quality. 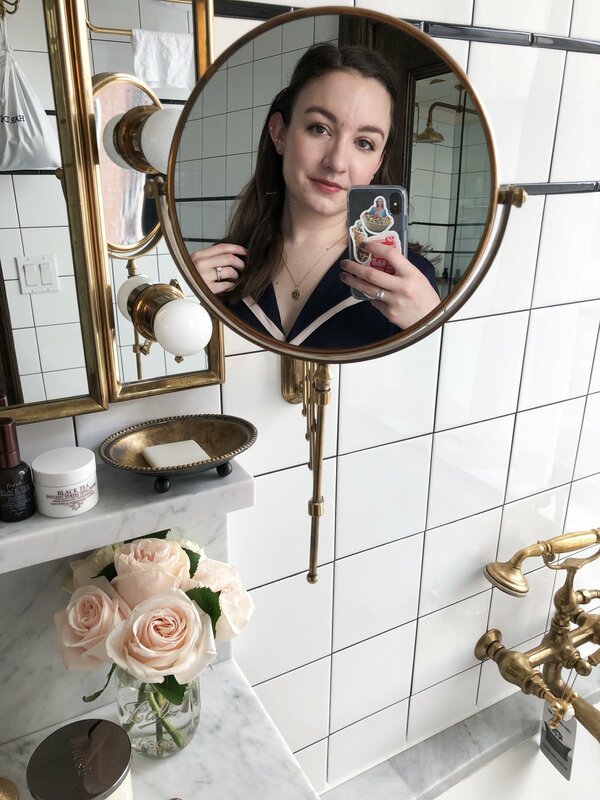 The formulas are simple, with only one or two major ingredients in most of them, so it's easy to pick and choose and build a regimen that works for your skin - it's pretty much as close to customized skincare as you can get, without spending an arm and a leg. I've now tried five products from the line, which I figured was a good enough intro to get a good feel for the brand. The first thing I tried was the Advanced 2% Retinoid. I had heard all about how pretty much everyone could benefit from adding a retinoid to their routine - they're powerful anti-aging ingredients because of their ability to stimulate collagen production and increase cell-turnover. They can help clear up acne, reduce wrinkles, and fade hyperpigmentation. I had previously used the Sunday Riley Luna Sleeping Night Oil, but I found the results of the Advanced 2% Retinoid to be quite similar. It did dry my skin out at first, which wasn't a reaction I had to the Sunday Riley oil, but my skin has now gotten used to it. I use this a few times per week at night and wake up to smoother, clearer skin. The other product I tried in my first order was the Lactic Acid 10% + HA 2%. I love using chemical exfoliators rather than physical ones, so I was thinking this potent AHA formula would be perfect. It's a thicker, syrup-y texture that I apply as my serum step a few nights per week (when I'm not using the retinoid). AHAs like lactic acid gently exfoliate the skin by breaking down the bonds between skin cells, allowing you to more easily shed your dead skin cells. This formula also contains Tasmanian Pepperberry to reduce irritation that can sometimes be caused by using acids. It's also formulated to have a pH and pKa of 3.8 - an ideal balance between salt and acidity, maximizing effectiveness and minimizing possible irritation. My skin responds really well to this, and after using it just a few times I really noticed a change in how smooth my skin was. It doesn't feel strong/intense at all to me, but if you're concerned about the high percentage they also sell a 5% version. Speaking of acids, I've also really been loving the Glycolic Acid 7% Toning Solution. I ordered this after noticing how similar the ingredients were to the Pixi Glow Tonic, but with a higher percentage of glycolic acid. This has been the runaway favorite of the range for me. I use it every night after cleansing, swept over my face with a cotton pad. Glycolic acid is an AHA like lactic acid, but it has smaller molecules, allowing it to get a bit deeper into the skin. Like the Lactic Acid serum, this toner also contains Tasmanian Pepperberry to reduce irritation. I still love the Pixi Glow Tonic, but I think I've found a much more affordable alternative here. My skin has been so clear since starting to use this consistently. If you're new to acid toners I'd still recommend starting with the Glow Tonic as it has a lower percentage of the glycolic acid and is more gentle, but once you've built up a tolerance this is a perfect next step. The other two products I've tried from The Ordinary are facial oils. Rosehip oil is one of my favorites to use, morning and night, so I had to try the 100% Organic Cold-Pressed Rose Hip Seed Oil. It's comparable to other rosehip oils I've used in the past, so it's one I'll definitely keep repurchasing. My skin drinks this stuff up, giving me a super nourished glow without being too greasy. Rosehip oil contains pro-Vitamin A as well as linoleic and linolenic acids, so it can help with hyperpigmentation over time as well. I also have loved using Marula oil on my skin when I'm feeling really dry, so I wanted to give their 100% Cold-Pressed Virgin Marula Oil a try. It's totally comparable to the much more expensive option from Drunk Elephant - I'd say there's a small difference in how quickly it sinks into the skin (The Ordinary's version takes a bit longer). Marula Oil is rich in antioxidants, so it restores radiance and helps prevent signs of aging. It's a bit more dense than Rosehip oil, so it's one I typically use at night in the colder months or in conjunction with the retinoid. If you have dry skin, it's a must-try for sure. What have you tried from The Ordinary? I'm dying to try the AHA/BHA Peeling Solution next to see how it compares to the Drunk Elephant Babyfacial!